These might be light on the bells and whistles, but they are rock solid gloves. The Giro Men's DND Glove features 4-way stretch mesh fabric on the backs that is comfortable against the skin and allows hands to breath, while the AX Suede™ synthetic leather palms are ready to protect against abrasion and hazards. Simple bonuses like flex zones at the knuckles, a terry wipe on the thumb, reinforced fingertips make these glove ready to get down and dirty on any ride. Like many road & gravel riders, I typically use a short-finger gloves. I wanted a long-finger, light weight, glove for cool conditions, and gravel riding. 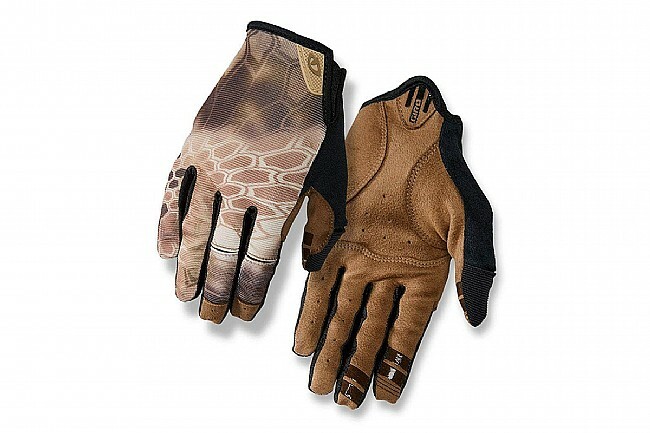 The DND glove has been a great option, light and breathable, it fits snugly, with no bunching in the fingers. Note the DND has minimal padding in the palm, and the overall construction is light. I also tried the DND leather glove, but I like the fit of this glove more. My palm is a bit fat, and I often need a size large, but the Med. DND glove fit the best. This glove is no game-changer, but is indeed a solid option for a light, full-finger, glove. 2nd pair of these gloves only as a backup, not replacement, as I like them so much. Fits snug with no straps to get caughtwear out and no padding which makes them the perfect cyclocrossgravel glove.